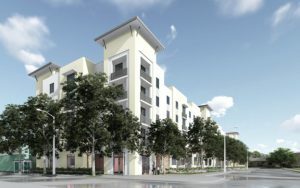 The CSK team is pleased to announce our participation in the development of Lotus Village, a project set forth by Lotus House Women’s Shelter to provide state of the art shelter facilities and supportive services to nearly 500 homeless individuals and families. Lotus House is an organization dedicated to improving the lives of homeless women, youth and children. They provide sanctuary, support, education, tools and resources that empower them to heal, learn, grow and blossom into who they are truly meant to be. With the creation of Lotus Village, the organization will be able to provide a holistic neighborhood health clinic, children’s day care and wellness center, shelter facilities and dining facilities to these families in need of a safe haven. CSK’s George Truitt and Kevin Schumacher received special recognition as consultants to the project, assisting with counseling and negotiation of permitting considerations, lender compliance, and negotiating of and compliance with design and construction contracts. The facility broke ground on Friday, September 16th, 2016 in Overtown with the help of many other supporters and sponsors, including Bank of America, the City of Miami, Royal Caribbean and Schwartz Media. See the full list of supporters here. Mr. Cole is a Martindale-Hubbell rated A.V. attorney, as well as a member of the American Bar Association, AIDA Reinsurance & Insurance Arbitration Society and The Florida Bar. He is a past Director, Secretary, Vice President, and President of the Dade County Bar Association and a past Delegate to the United States Eleventh Circuit Conference. In addition to litigating cases, Mr. Cole has experience defending professionals in administrative investigations related to their professional licenses. In this capacity, Mr. Cole has represented professionals in front of administrative boards and panels, including the representation of accountants in front of the Probable Cause Panel of the Board of Accountancy. Cole, Scott & Kissane, P.A. is a Gold Sponsor of the 2016 CLM National Construction Claims Conference, which will be held in the Manchester Grand Hyatt in San Diego, California from September 28 – 30. The National Construction Claims Conference will address construction defect claims, as well as claims centered on construction site accidents/injuries, coverage issues, subcontractor issues, and new technologies. Sessions also will address issues on the national, regional, and state levels. CSK is a full-service, civil defense firm. We started our firm in 1997 with nine attorneys in two offices. 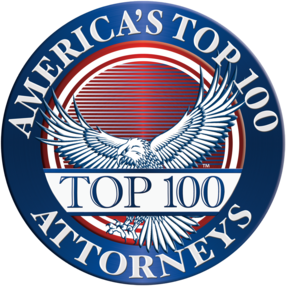 Due to, among other things, our adherence to our Litigation Management Model we have grown to be one of Florida’s largest firms with approximately 350 attorneys operating out of our 11 strategically-positioned offices throughout Florida. Our practice focuses upon prompt case assessment, unwavering adherence to our evaluations, prompt case closure, and successfully trying cases when called upon to do so. As a consequence of a combination of, among other things, the quality of our lawyers, our focus upon case closure and our trial abilities, CSK has developed one of the finest practices in the country. In fact, several of our lawyers are members of the American Board of Trial Advocates, are board-certified in Civil Trial, and have tried over 100 cases to verdict. Lastly, and certainly consistent with demographics of Florida, CSK is a diverse and inclusive law firm, having been honored on multiple occasions for our success in continuing to achieve greater diversity. George R. Truitt, Jr. is the Managing Partner of the firm’s Construction Group, which is dedicated exclusively to the counseling and litigation in construction-related matters. Mr. Truitt is a Board Certified Specialist in Florida Construction Law. 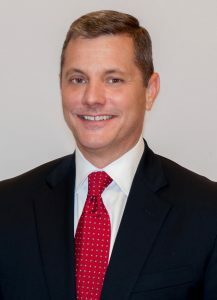 He was admitted to the Florida Bar in 1992 and has been A-V Rated by Martindale Hubbell since 1998. For the past twenty-four years, he has devoted his practice to construction litigation and risk management counseling, including the representation of design professionals in professional liability claims, developers, contractors, and subcontractors in construction defect, contract, inland marine (builder’s risk coverage and litigation) and lien enforcement claims, and payment and performance bond sureties in public and private bond and subrogation claims. Mr. Truitt has tried nearly 25 construction-related cases to conclusion, including jury trials, bench trials, and final arbitration hearings. His published opinions include Jesse McIntosh, as Personal Representative of the Estate of James McIntosh, et al. v. Progressive Design & Engineering, Inc., 166 So. 3d 823 (Fla. 4th DCA 2015), cert. denied, 177 So. 3d 1269 (Fla. 2015)(affirming defense verdict in favor of a traffic engineer in a wrongful death claim based on Slavin doctrine). He is admitted to The Florida Bar and the United States District Courts for the Northern, Southern and Middle Districts of Florida. Mr. Truitt lectures frequently to various interests in the construction community, including professional lines and commercial general liability insurers, developers, general contractors and design professionals. You can learn more about Mr. Truitt, Cole, Scott & Kissane, P.A. and its Construction Group at www.csklegal.com. The Claims and Litigation Management Alliance (CLM) promotes and furthers the highest standards of claims and litigation management and brings together the intellectual leaders in both industries. CLM’s Members and Fellows include risk and litigation managers, insurance and claims professionals, corporate counsel, outside counsel and third party vendors. The CLM sponsors educational programs, provides resources and fosters communication among all in the industry. To learn more about the CLM, please visit www.theclm.org.